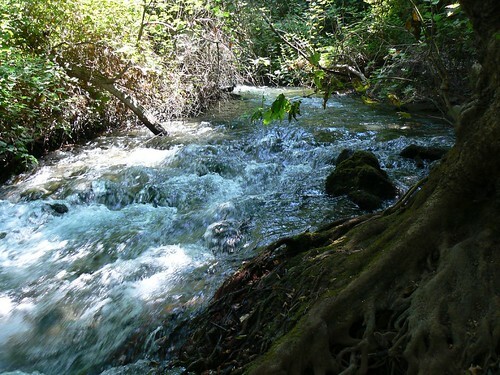 Banias (or Paneas ‎) located at the foot of theGolan Heights, and is the source of the Nahal Hermon stream. 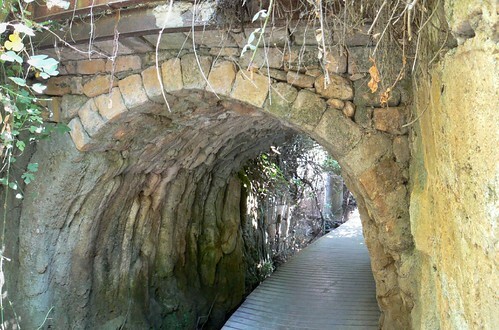 Banias was first settled in the Hellenistic period following Alexander the Great’s conquest of the east. 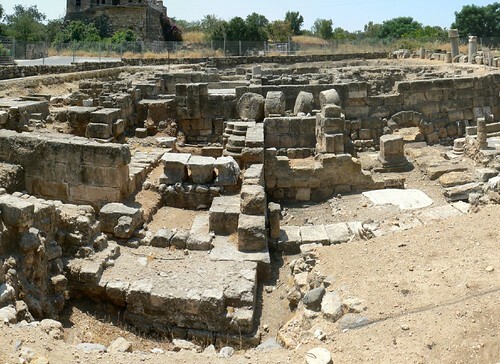 The Ptolemaic kings, in the 3rd century BC, built a cult centre there. 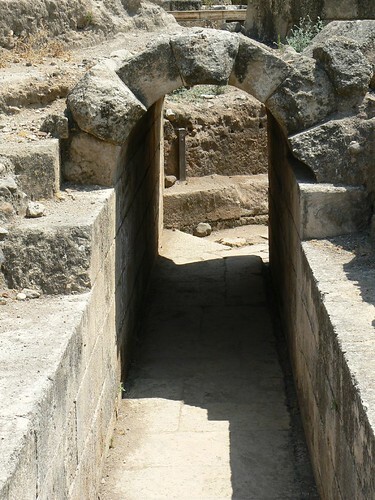 The sacred precinct included a temple, courtyards, a grotto and niches for rituals, and was dedicated to Pan. 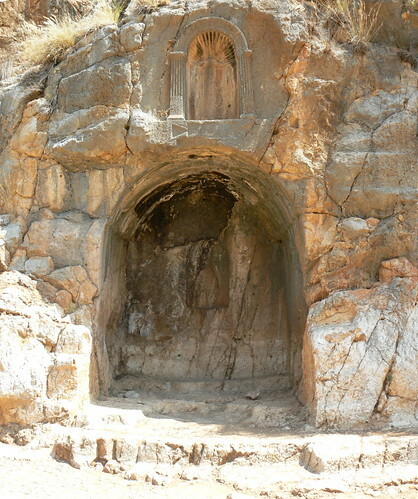 It was constructed on an elevated, 80m long natural terrace along the cliff which towered over the north of the city. 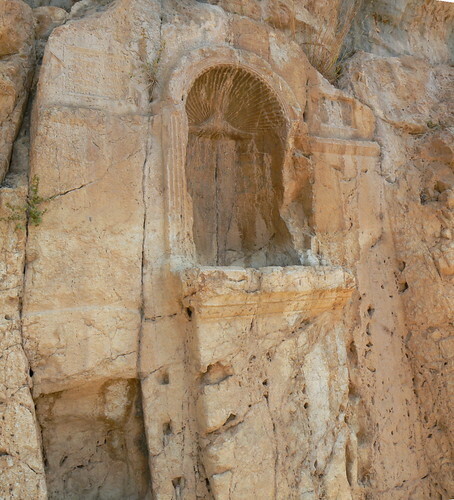 A four-line inscription at the base of one of the niches relates to Pan and Echo, the mountain nymph, and was dated to 87 CE. 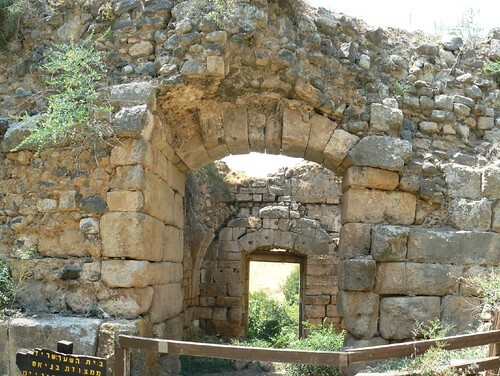 In 20 BC, Paneas was annexed to the Kingdom of Herod the Great. 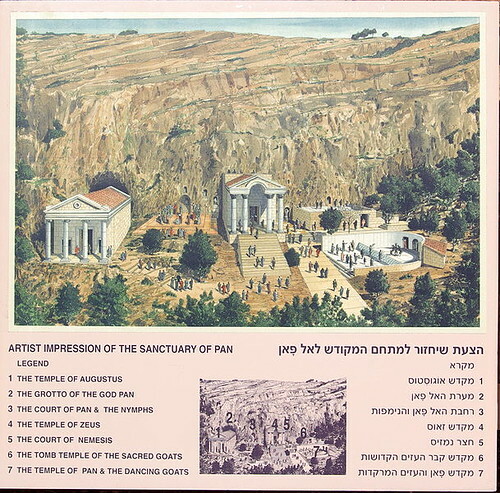 Herod erected a temple of ‘white marble’ in Paneas in honour of his patron. 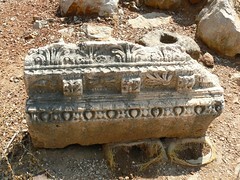 Remains of a temple built by Herod the Great stand in front of the cave. 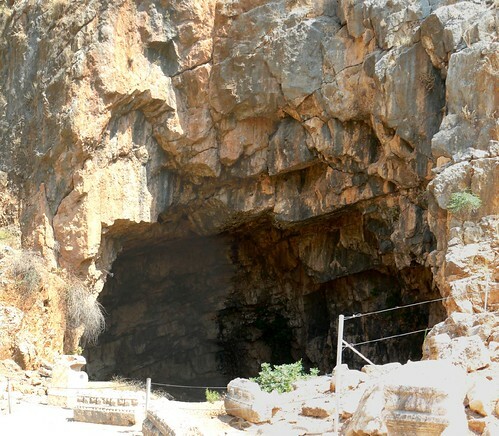 After Herod’s death, his son Philip inherited this area, and in 2 BCE Philip founded his capital near the Banias Spring, calling it Caesarea Philippi. 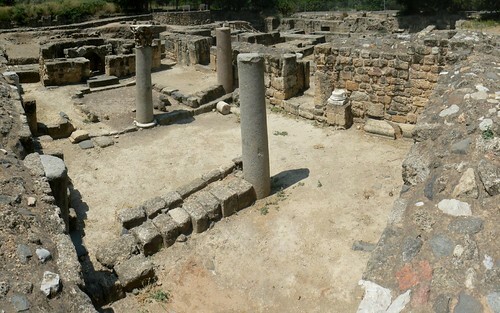 In 61 CE, king Agrippa II renamed the administrative capital Neronias in honour of the Roman emperor Nero, but this name was discarded several years later, in 68 CE. 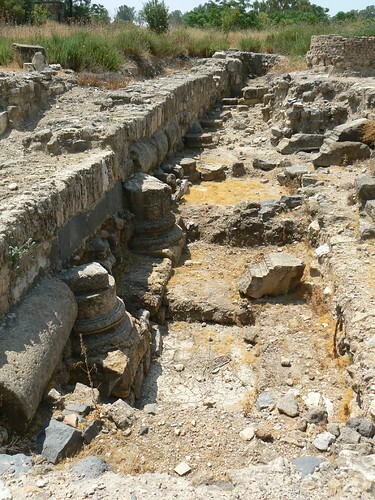 Agrippa also carried out urban improvements. 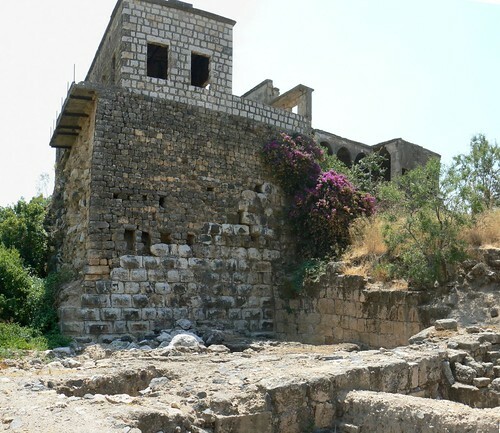 In 1129 the Crusaders fortify the city and built a fortress. 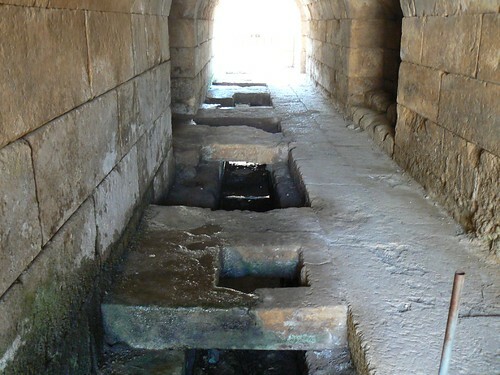 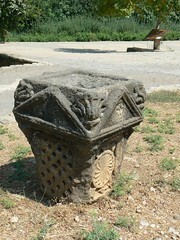 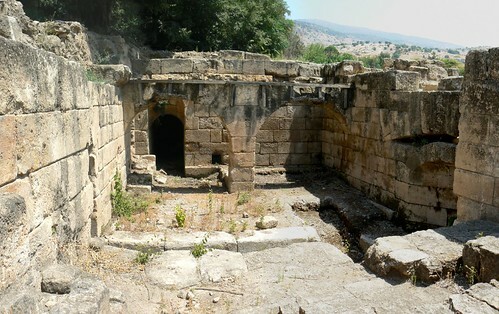 A structure describing the various historical periods of the city of Banias. 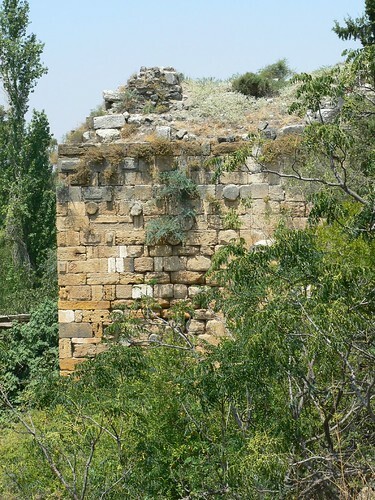 The Lower wall related to the Late Roman and Byzantine structures, above it Crusador level, Ayyubid level, Ottoman level, and on the Top a modern Syrian building.